1928: The Winter Olympics were held in St. Moritz, Switzerland; Lev Trotsky was arrested in Moscow; WMAK begins broadcasting in Buffalo, while W2XAD from Schenectady airs radio's first "melodrama," The Queen's Messenger; Haile Selassie becomes king of Abyssinia; and in Philadelphia, Eddie Fisher was born on August 10. Fisher was a silky pop crooner, singer of such hits as "Wish You Were Here," "Any Time," "Tell Me Why," "Oh! My Pa-Pa". In 1952, Fisher became a regular on the U.S. Army-produced program Forward March, on which he sang numbers such as "I'm Yours," "All By Myself," and "Lady of Spain." In a similar capacity, he hit the airwaves in 1954 on a program called Coke Time, belting out tunes, usually backed by Axel Stordahl and His Orchestra. 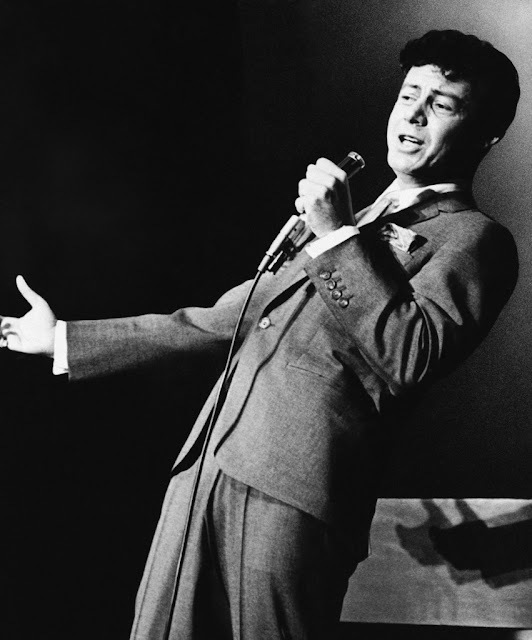 We commemorate the birth of the great entertainer, Eddie Fisher.